← VOTE WITH YOUR FEET! SEXIST PREDATOR OR DRONE PREDATOR? (L) CHARLES LEWIS, 58, IN PRISON SINCE 17, MAINTAINS INNOCENCE, FILED MOTION TO DISMISS DUE TO LOSS OF CASE FILE; HIS SADO ATTY. 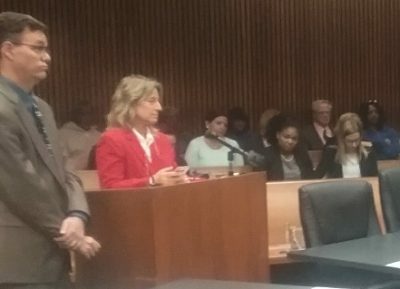 VALERIE NEWMAN FILED FOR “TERM OF YEARS”—HEARING FRIDAY OCTOBER 28 @ 9 AM Top row, l to r from Wayne County: Timothy Kincaid, 54, in prison since 1982, resentencing set for Friday, Nov. 4 at 9AM in front of Judge James Callahan; Edward Sanders, 58, in prison since age 17 in 1975, David Walton, 59, in prison since age 17 in 1975, Cortez Davis, 39, in prison since 1994. Bottom row, l to r from Kent County: Giovanni Casper, 27, in prison since 17, got 40-60; Juan Cantu, 37, in prison since 16, got 40-60 yrs; Ahmad Williams, 33, in prison since 15, got 25-60, parole eligibility two years; Saul Montalvo, 36, in prison since 1996 at 17, got 25-60, eligible for parole in five years. Parole eligibility does not guarantee parole; Michigan parole board releases low percent of prisoners, says it will treat “juvenile lifers” the same as any other prisoners. DETROIT – Hundreds of Michigan prisoners serving what the U.S. Supreme Court has twice declared are unconstitutional juvenile life without parole sentences may end up dying in prison as Michigan originally intended, under 2014 state statutes MCL 769.25 and MCL 769.25a. 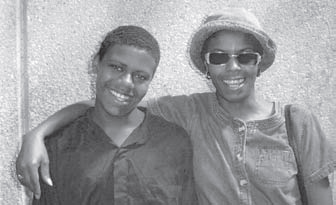 Rosie Lewis and her first-born child Charles Lewis, shortly after he was incarcerated for life at the age of 17. “When they sent my son to prison, they told me he would never get out, and that I could not even claim his body after he died,” Rosie Lewis, mother of juvenile lifer Charles Lewis, her first-born child, told VOD tearfully. 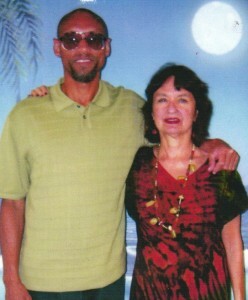 Lewis has been incarcerated for 41 years since the age of 17 for a crime both he and eyewitnesses say he did not commit. This Friday, Oct. 28, at 9 a.m. Lewis will again appear in Wayne County Circuit Court Judge Qiana Lillard’s courtroom at the Frank Murphy Hall of Justice, Rm. 501. Charles Lewis at court hearing Oct. 11. Juvenile lifers across the state are being forced to appear in court in jail garb and handcuffs. Judge Lillard will also rule on a motion she requested Atty. Valerie Newman of the State Appellate Defender’s Office (SADO) to file. Newman asks for automatic re-sentencing to a “term of years” for Lewis, not release. Filed Oct. 21, long after Lewis’ Sept. 24 motion, it cites the same U.S. and Michigan Supreme and Appellate Court precedents Lewis used. Newman contradicts her proposed remedy in the motion. 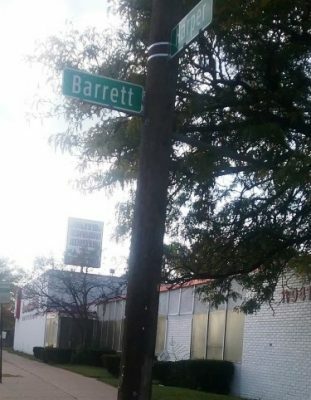 Corner at Harper and Barrett near where off-duty police officer Gerald Sypitowski was killed Jan. 31, 1975. SADO told VOD from the outset that it would not challenge the state statutes, but they are being challenged by the American Civil Liberties Union in an ongoing lawsuit, Hill v. Snyder. If Lewis is subjected to the jurisdiction of the parole board, as Newman wants, the same question arises—how will they determine THEIR decision without his full court file? 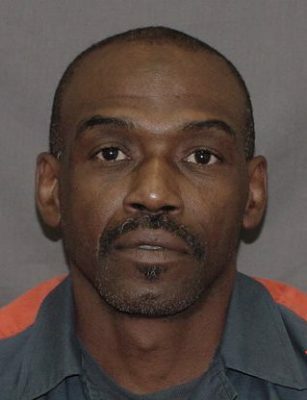 Lewis was convicted of killing off-duty Detroit police officer Gerald Swypitowski in 1976, despite the testimony of six eyewitnesses, including the officer’s partner, who identified another man as the perpetrator. Lewis’ court-appointed attorney never called his alibi witnesses at trial. APA Jason Williams and Attorney Valerie Newman at Charles Lewis’ hearing Oct. 11. His mother Rosie Lewis is in rear row center, behind woman in white blouse. Neither attorney addressed Lewis during the hearing. Williams did not respond to Lewis’ question about how he planned to prosecute him with no court file. 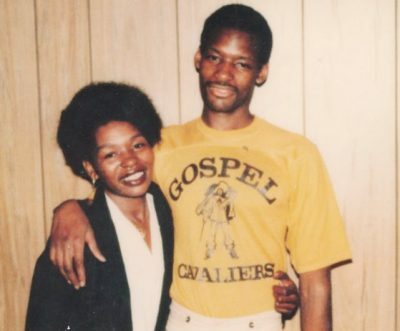 Lewis is a true fighter, a writer, and a musician, who has often filed his own excellently written and researched appeals in state and federal court since his incarceration. “I guess I’m addicted to the struggle,” he told VOD. 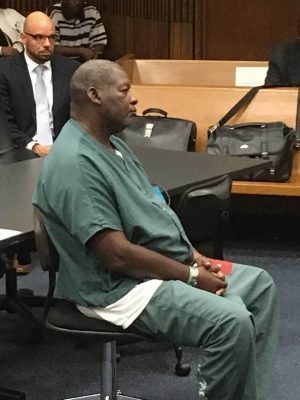 But he is now 58, has suffered three heart attacks in recent years for which he has received inadequate care from the Michigan Department of Corrections, and has a severe case of diabetes. Chief Criminal Judge Timothy Kenny. VOD has just been notified by General Counsel Richard Lynch that the prosecutor’s motion for Charles Lewis will be available tomorrow. So far, VOD has not been able to obtain copies of Wayne County Prosecutor Kym Worthy’s motions for all 147 Wayne County juvenile lifers, although such motions are public record. 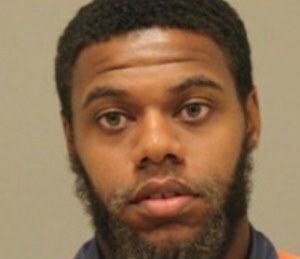 Worthy filed the motions June 22, including 63 asking for re-sentencing to JLWOP, the highest actual number of any county in Michigan. The motions are allegedly being held away from legally mandated public access in Chief Criminal Court Judge Timothy Kenny’s office. Lewis is asking that supporters of the U.S. Constitution and the right of Michigan juvenile lifers not to die in prison come out in substantial numbers prior to and during his hearing and hearings of other juvenile lifers, proceeding across the state. Juan Cantu’s case demonstrates just how severely the State of Michigan is flying in the face of the U.S. Supreme Court rulings in its juvenile lifer re-sentencings. He is from Grand Rapids and is now 37. 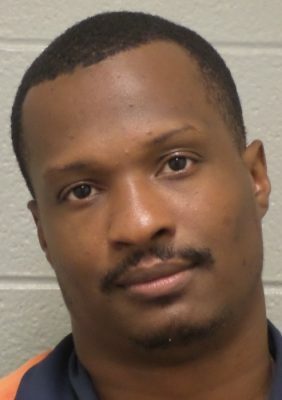 On Oct. 12, Sullivan sentenced Cantu to the maximum 40-60 years recommended by the Kent County Prosecutor, who said he did not recommend JLWOP because of Cantu’s role as an accomplice in a 1996 shooting death. Cantu is now 37. 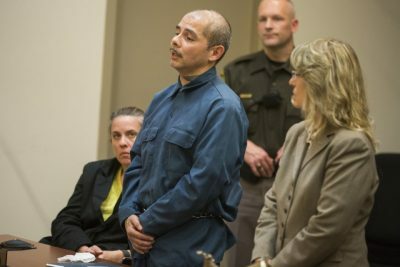 Another participant who was not charged testified that Cantu played a minor role in the kidnapping and killing of the victim, according to a Court of Appeals decision which vacated his sentences other than that for felony murder. That decision was evidently overturned later, as Cantu still faces 50-80 years for the kidnapping. Cantu was 16 and had an eighth-grade education in 1986. He will not be parole eligible for 20 years for the felony murder charge. Cantu was also represented by Newman. A SADO spokesperson told VOD earlier that SADO did not plan to challenge the state statutes, although they are currently being challenged in an ongoing ACLU class action lawsuit, Hill v. Snyder. Juvenile lifer Timothy Kincaid, now 54, will appear in front of Wayne County Circuit Court Judge James Callahan on Nov. 4 at 9 a.m. He was 16 when he was charged as an accomplice to an older man in three 1976 murders. VOD attended a hearing in his case June 27. “I didn’t think there was any reason for doubt after the Miller v. Alabama ruling,” Court Judge Callahan said, regarding Miller’s retroactivity. But Michigan courts held out for four years until the Montgomery decision before proceeding with re-sentencing, after sabotaging the Supreme Court intent with its 2014 state statutes. This characteristic of youths to be susceptible to older individuals and to peer groups is cited in the Miller decision. Kincaid’s attorney, Gerald Evelyn, said he was “guardedly optimistic” that Callahan would give Kincaid the minimum sentence of 25 years and that he would be immediately paroled. He said a woman who was injured during the multiple murders and is in a wheelchair plans to come to court to ask for Kincaid’s release. His younger sister Vivian Kincaid has been active for years in movements for justice for both juvenile and parolable lifers, and against U.S. policies of mass incarceration. 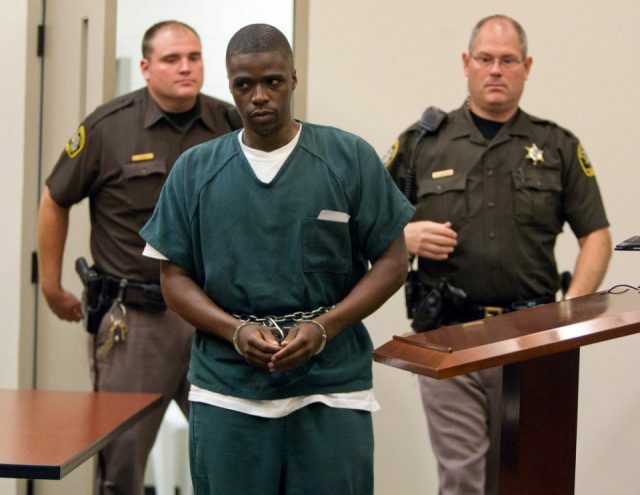 Casper was sentenced to JLWOP for first-degree murder in Dear’s 2006 shooting, after a fight broke out between two groups of youths at a roller skating rink in Kentwood when he was 16. Casper is a named plaintiff in the ACLU’s class-action lawsuit against juvenile life without parole in Michigan, Hill v. Snyder. 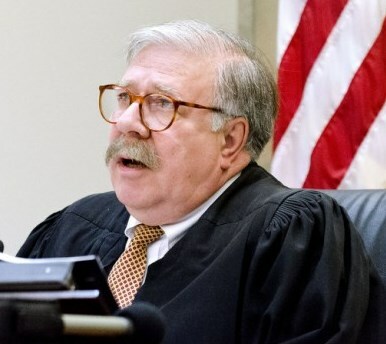 U.S. District Court Judge John Corbett O’Meara ruled in response to the lawsuit in 2013 that Michigan juvenile lifers are ALL subject to parole after serving 10 years. The ACLU said Giovanni was a high school drop-out and functionally illiterate. “Upon arrest, police interrogated Giovanni for hours without a parent present,” the ACLU said in a report on juvenile lifers. “The officers wrote out a statement and told Giovanni that if he signed it, he could go home. Giovanni did not meet with his court appointed attorney until the first day of trial. His attorney did not call any witnesses on his behalf and, against his wishes, would not allow Giovanni to testify. Giovanni’s attorney never informed him that a plea was offered. Kent County Circuit Judge Dennis Leiber re-sentenced Casper to 40 to 60 years in prison. He will not be eligible for parole for 30 years, when he is 56, if he survives that long. 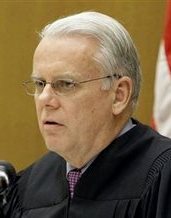 U.S. District Court Judge John Corbett O’Meara ruled in 2013 that ALL Michigan juvenile lifers are eligible for parole after 10 years. The Sixth Circuit Court of Appeals supported his ruling, but sent it back to him for updating. The state has now moved to dismiss Hill v. Snyder. A hearing will be held Thurs. Nov. 3 at 10 a.m. in Judge O’Meara’s court in Ann Arbor. 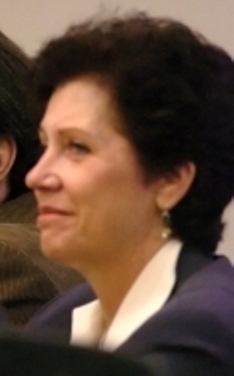 The ACLU intends to present strong arguments against dismissal, said Attorney Deborah LaBelle. Childhood friends Edward Sanders and David Walton were 17 years old in 1975 when they were caught up in a nightmare largely involving the heavy use of alcohol sold to them by multiple store owners where they grew up, who violated the law in doing so. Edward Sanders with VOD editor Diane Bukowski during one of many visits she made while he was at the Mound Road facility in Detroit. It is now closed. With three other friends, they went looking for a party they had heard about. They had the wrong address. Instead, they arrived at a location where a man was helping a friend move into an upper flat. He told them there was no party there. A companion insisted on going back to get a dilapidated shotgun with a hair-trigger. They returned to the flat, where their companion tried to pull the shotgun to shoot the man. His friends struggled to stop him, but the gun went off, killing the man. At the constant urging of police, including an officer named James Younger, the companion testified that Walton pulled the trigger while Sanders drove the car. At that time, the Detroit Police Department was conducting a war against what they called neighborhood “gangs.” Younger later became Deputy Chief and head of Detroit’s ill-reputed Gang Squad. VOD has covered Sanders’ progress throughout the years, as he obtained his bachelor’s degree, became a jailhouse lawyer assisting other prisoners, as well as a devout and peaceful Muslim. He is currently tutoring a group of prisoners at who benefited from a college grant from the federal government, part of 1500 around the state. Sanders attorney Elizabeth Jacobs responded to an inquiry from Voice of Detroit. She said that Sanders is happy with the sentence of 40-60 years being proposed for him. The state statutes, however, bar the use of juvenile lifers’ good time in their resentencings. But Sanders said he is hoping the judge will see fit to override that part of the state statute. The Detroit News reported in April that Attorney Deborah LaBelle singled out Walton as an example of a juvenile lifer who deserved release. “Walton is “deeply trusted by staff” at the Ryan Correctional Facility, she said. 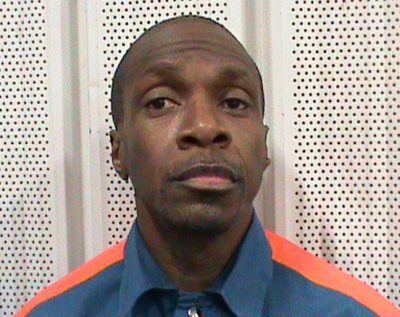 Some prisoners at the Detroit prison, including Walton, may have saved the life of a Corrections officer who had been targeted by an angry inmate in their unit. According to a state prison document, prisoners blocked doors, dressed the officer in state “prisoner blues” and “sent him out a unit window” to safety. In a 2010 lifer review report at the prison, resident unit manager Alan Greason said Walton has been cited for work on numerous service projects, including an Alcoholics Anonymous fellowship program, a “Dose of Reality” tour program for youth and a gymnasium floor restoration. Both Sanders and Walton are set for post-conviction hearings in front of Wayne County Circuit Court Judge James Chylinski this Friday, Oct. 28 at 9 a.m., the same time the hearing for Charles Lewis is set. However, Sanders’ attorney Jacobs said Sanders’ hearing will be a second status conference to further discuss the re-sentencings. Judge Chylinski’s clerk confirmed that neither prisoner will be present. Such hearings are suspect, because, as Sander’s comment above indicates, defense attorneys are not always in sync with their clients. Sixteen-year-old Cortez Davis was involved in a robbery that ended with the shooting death of the robbery victim. Davis’s companion fired all of the five shots that killed the victim; witnesses testified that Davis was involved in the robbery aspect of the crime. A jury convicted Davis of first-degree felony murder, armed robbery, assault with intent to rob while armed, and felony-firearm. The trial judge, the Hon. 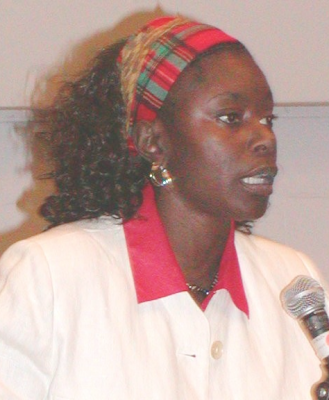 Vera Massey-Jones, held a hearing in 1994 to determine if Davis should be sentenced as an adult or as a juvenile. Judge Massey-Jones sentenced Davis to a prison term of 10 to 40 years for felony murder in addition to lesser terms for the other convictions. But the Court of Appeals peremptorily reversed, and the Judge Massey-Jones was forced to impose the required term of life in prison without the possibility of parole. Her ruling in 1994 predated the 2012 U.S. Supreme Court Ruling in Miller v. Alabama, which used virtually the same language, by 18 years. After Miller, she once again tried to re-sentence Davis, but Prosecutor Worthy appealed blocked her efforts and appealed. 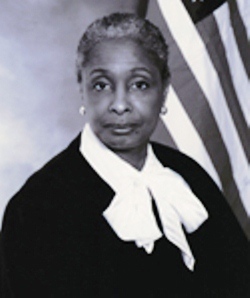 Unfortunately, Judge Massey-Jones retired from the bench last year. 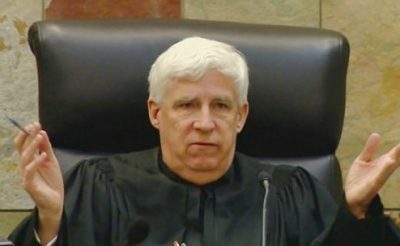 Davis had an excellent article published recently in the Voice of Detroit at http://voiceofdetroit.net/2016/09/27/mich-citizens-support-2nd-chances-for-juvenile-lifers-state-county-prosecutors-induce-fear/. The state statutes, however, set an arbitrary minimum sentence of 25 years, meaning Davis would not see the world outside again for another three years if his judge does not challenge the statutes, or if the ACLU prevails in its lawsuit, Hill v. Snyder. This entry was posted in Uncategorized and tagged Beatbackthebullies, blacklivesmatter, Breakdownthewalls, FREECHARLESLEWISNOW, FreeMichiganJuvenileLifers, FreeMichiganParolableLifers, PoliceState, PrisonNation, SaveOurYouth, StopCourtCorruption. Bookmark the permalink.